L'article publicat a la revista Journal of Archaeological Science anomenat "The ecology of Roman trade. Reconstructing provincial connectivity with similarity measures" ha tingut un fort impacte en els medis de comunicació. El treball conjunt d’historiadors, matemàtics, informàtics i físics experts en xarxes complexes ha permès reconstruir com era el comerç de l’antic imperi romà. L’estudi ha mostrat que el comerç a escala continental, entre les diferents províncies romanes, tenia fluxos importants i que l’Atlàntic era la ruta principal per transportar l’oli, les conserves de peix i el vi produïts a la península Ibèrica (províncies Bètica i Tarraconense) fins al nord d’Europa (vall del Rin Britània o Bèlgica), en contraposició a les teories que prioritzaven la importància de la vall del Roine com a via comercial. A continuació adjuntem una part dels enllaços que ha recollit el CEIPAC després de la seva publicació. Butlletí RECERCAT Un treball multidisciplinari ha aconseguit reconstruir les rutes comercials de l’antic imperi romà, 27 de Septiembre 2018. Butlletí RECERCAT Estem contribuint a revolucionar la idea tradicional de l’antiga Roma, 9 de Noviembre 2018. ABC Desvelan las grandes rutas comerciales del Imperio Romano, 19 de Noviembre 2018. El Español Así eran las rutas comerciales utilizadas durante el Imperio Romano, 18 de Noviembre 2018. COPE Logran reconstruir las rutas comerciales del Imperio romano, 18 de Noviembre 2018. Montevideo Portal Un estudio reconstruye las rutas comerciales del imperio romano, 18 de Noviembre 2018. Yahoo! Noticias Logran reconstruir las rutas comerciales del Imperio romano, 18 de Noviembre 2018.
eldiario.es Logran reconstruir las rutas comerciales del Imperio romano, 18 de Noviembre 2018. La información El análisis de 43.000 ánforas desvela las rutas comerciales del Imperio romano, 18 de Noviembre 2018. La Vanguardia Logran reconstruir las rutas comerciales del Imperio romano, 18 de Noviembre 2018. EcoDiario.es Logran reconstruir las rutas comerciales del antiguo imperio romano, 18 de Noviembre 2018. La Vanguardia Desveladas las grandes rutas comerciales del Imperio romano, 19 de Noviembre 2018. Proceso Digital Matemáticos, historiadores y físicos reconstruyen las rutas del Imperio Romano, 19 de Noviembre 2018. 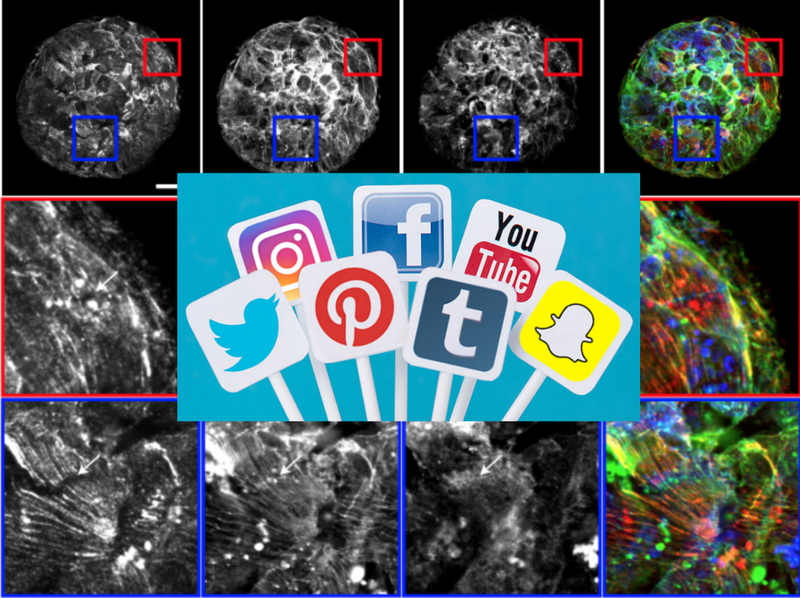 L'article publicat el 14 de novembre a la revista Science Advances anomenat Impact of modular organization on dynamical richness in cortical networks ha tingut un fort impacte en els medis de comunicació. Una de les característiques més importants i sorprenents del cervell és la seva habilitat per reconfigurar dinàmicament connexions per processar estímuls i respondre-hi correctament. 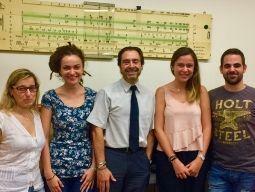 Investigadors de la Universitat de Tohoku (Sendai, Japó) i de la Universitat de Barcelona i del UBICS (Jordi Soriano i Sara Teller) han dissenyat, mitjançant eines de neuroenginyeria, circuits neuronals in vitro que reprodueixen la capacitat de segregació i d’integració dels circuits cerebrals i que permeten entendre les claus de la reconfiguració dinàmica del cervell. A continuació adjuntem només una part dels enllaços que va recollir la Universitat de Barcelona un dia després de la seva publicació. Diario de León, 15/11/2018 pág. 48. @ DIARIO MEDICO, 15/11/2018 . @ GACETA MÉDICA, 15/11/2018 . L'article publicat el passat mes a la revista Nature Physics anomenat Active wetting of epithelial tissues ha tingut un fort impacte en els medis de comunicació. L'estudi liderat per l'equip d'en Xavier Trepat, investigador ICREA a l’Institut de Bioenginyeria de Catalunya (IBEC) i professor del Departament de Biomedicina, junt amb l'equip d'en Jaume Casademunt, catedràtic del Departament de Física de la Matèria Condensada, revela quines forces exerceixen les cèl·lules tumorals per escampar-se. Sorprenentment, la relació entre aquestes forces i el moviment cel·lular transcendeix les lleis de la física tal com estan formulades actualment. Researchers from the Institute of Neuroscience and the Institute of Complex Systems ( UBICS ) of the University of Barcelona have identified differences in the pattern of the neurofunctional activation in patients with type 1 diabetes. The study, conducted with neuroimaging techniques, represents an important step towards the understanding of how T1D can affect the brain during the cognitive activity and could have implications in the treatment for people who suffer from this metabolic disease. T1D is a chronic disease caused by a lack of insulin, an hormone that controls the sugar in blood. This type of diabetes forces patients to take insulin daily and it is an important cause for blindness, renal impairment and myocardial infarct, among other complications. The study published in the scientific journal PLOS ONE has the participation of Joan Guàrdia and Maribel Peró-Cebollero, from the Faculty of Psychology of the University of Barcelona, Geisa Gallardo and Andrés González from the University of Guadalajara (Mexico), and Esteve Gudayol from the Michoacan University of Saint Nicholas of Hidalgo (Mexico). The new study has explored –using functional magnetic resonance imaging techniques (fMRi)- the neuronal activation pattern in 22 patients with type 1 diabetes and a control group of 16 healthy people while they conducted memory tasks with verbal and visual stimuli. This neuroimaging technique measures the brain activity during the activities with which the changes in blood flow occur in the brain depending on the areas with a higher energy use. “The behavioural response to the tasks in the experiment was almost the same in both groups, but brain activity was different and T1D patients showed a lower cortical activation than those in controlled groups”, says Joan Guàrdia. These results support the idea that T1D has an impact on brain activity and at the same time, tempos show that in some circumstances, the brain of these patients develops adaptations to prevent cognitive impairments. “Activations in the observed right inferior frontal area, the cerebellum and the putamen in T1D patients can be an adaptive response to reach the same behavior performance level than those in healthy patients” says Joan Guàrdia. According to the researchers, these changes in the brain activation pattern could be neuroplastic adaptations to the glucose deregulation caused by the lack of insulin. “If these results are confirmed, it is important to design maintenance programs on maintenance of cognitive activity for people with this disease, an approach which is not very common at the moment”, concludes the researcher. 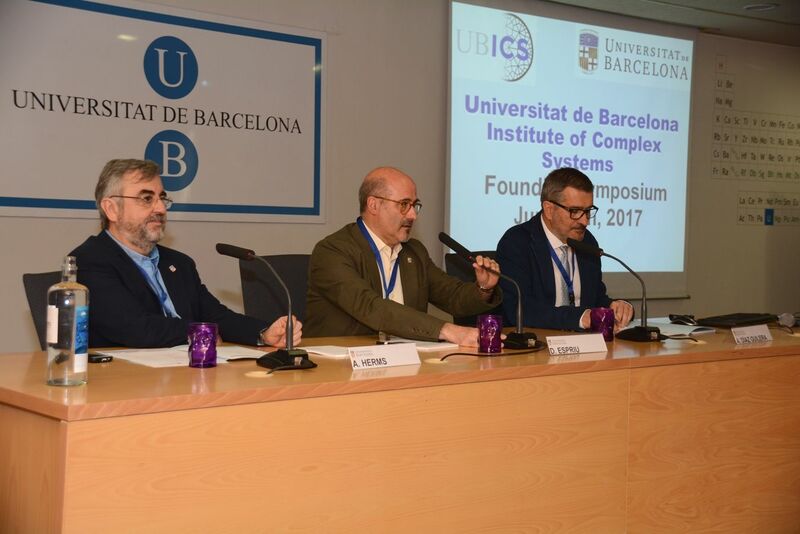 This week, the Founding Symposium of the Institute of Complex Systems of the UB (UBICS) took place, in the launch of this new UB Institute. UBICS gathers researchers from six faculties and centers of the UB and has forty UB researchers and fifteen researchers in training from diverse fields such as physics, philology, history, psychology, mathematics and computer sciences, apart from INEF researchers. In the opening, which took place on June 12, the Vice-Rector for Research of the UB, Domènec Espriu, highlighted the role of these institutes to “add value” to the University. These institutes enable “to support the areas in which we are strong, such as Complexity Sciences, an area in which we believe we can have a great impact on research”. Then, the Director of the Institute, Albert Diaz Guilera, put emphasis on the experience of other initiatives which led to the current UBICS. Also, he highlighted the multidisciplinary character of the new institute and presented some of the achieved successes despite its short life, regarding published articles in multidisciplinary distinguished journals, as well as the fact that there are already two ERC projects being developed in the Institute. UBICS aims to be a research center that attracts prestigious and talented researchers within programs such as ICREA, from which it already has two researchers. In this sense, a great amount of permanent researchers got their job positions through the program Ramon y Cajal. The excellence of the research carried out by the current members of the Institute is awarded with the four ICREA Academia awards. Another objective is to list the University of Barcelona among the top institutions in the field of research on complex systems, which is now scattered into different departments and centers. 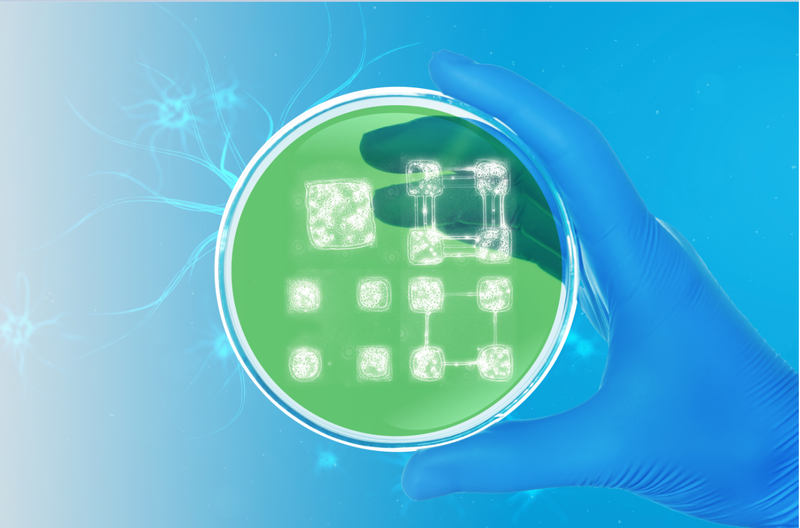 UBICS allows offering common frameworks for all eligible disciplines, with guarantees, to all new funding opportunities for national and European projects and other calls, and cover new challenges and emerging fields. It will also encourage the collaboration with other UB research institutes and centers from other universities that are dedicated to research on common subjects, as it has been done over the last seven years with the initiative Complexitat.CAT. This purely scientific collaboration, carried out during the last years, will allow us to grow functionally until becoming a powerful Catalan entity within covering the research space that corresponds to this field of interdisciplinary research. It also offers a common space for the necessary intensive computing for all involved research groups and will serve to give visibility and increase its social, institutional and media impact regarding research on complex systems, as well as strengthening entrepreneurship in this field. Despite the implication in quality research, we do not want to leave behind the importance of research visibility and training aspects. Therefore, a great part of the Institute efforts will be made on bringing the knowledge of complex systems to society and providing future scientists with it. Regarding training, we will promote activities related to the researchers in training with the current doctoral programs and postgraduate courses will be offered too, aimed at a wide range of students and researchers. In addition, another part will be dedicated to the students of the last years of the current bachelor degrees. The UB institutes aim to promote interdisciplinarity and specialization in a research field. 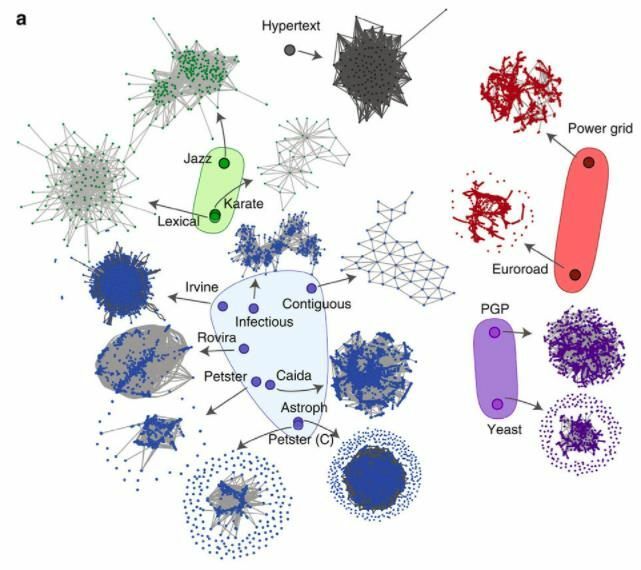 In this sense, the study of complex systems is based on the study tools for the theory of networks, statistical physics or the study of dynamic systems apart from data science and artificial intelligence. These basic branches enable applying this science to several fields that range from the behavior of matter or life sciences, neurosciences and biophysics, to social sciences (economics, psychology…) and history. In particular, the main research lines in UBICS are focused on the application of the theory of networks to describe experiments in neural cultures, as well as predict or find out new phenomenologies in neuroscience; study and set collective behavior patterns in active matter applying dynamic networks; the development of learning models that can be compared with experimental evidence; the use of the theory of networks to classify and structure the study of collective sports; the development of hybrid models to study the dynamics in confined systems at small scale; and the study of social dilemmas, decision-taking and human mobility around urban environments, using basic modeling tools and participatory methodologies from the emerging citizen science. One of the emblematic projects of this interdisciplinarity is the European project ERC-AdG, led by the UB, EPNet (Production and distribution of food during the Roman Empire: economic and political dynamics), which joins the physics of complex networks and history, to do research on dynamics of the commercial trade system during the Roman Empire. At this moment, UBICS, ratified in June 2016 by the Governing Council, has its headquarters at the Faculty of Physics. Barcelona, 10 feb (EFE).- Investigadores de la Universidad Politécnica de Cataluña (UPC) y de la Universidad de Barcelona (UB) han liderado la creación de un método científico para identificar, comparar y establecer diferencias objetivas con alta precisión entre grandes nodos de redes complejas. UBICS (Universitat de Barcelona Institute of Complex Systems) celebrates its annual meeting.